While you can think of all domainers as competitors, I choose to think of us all as colleagues, working together. 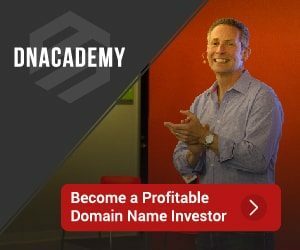 No two domains are exactly alike and therefore, there are no two domainers selling the exact same thing. It’s not a matter of producing widgets that are slightly different from one another. It’s more like real estate. Yes, there is some competition in that, but it boils down to the plot of land you want most and what you are willing to pay for it. Location, location, location. We see tweets from legends like Frank Shilling and Rick Schwartz, blog posts and videos from the likes of Elliot Silver and Mike Cyger and his guests. All sharing information, learnings and inspiration. I don’t know in what other industry you’ll find this type of knowledge sharing. Domainers congratulate each other on a recent sale, and help brainstorm ideas on how to best develop a name. Yes, we often profit off of one another and there are a shady few in the bunch… but overall, domainers are good people in my experience. I am seriously interested in your opinion. Are we competitors or colleagues. Comment with your thoughts.